Dizzying views of astonishing mountains, national parks rich with wildlife, villages clinging to steep rice-terraces, ancient cities with spellbinding temples: this is Nepal. 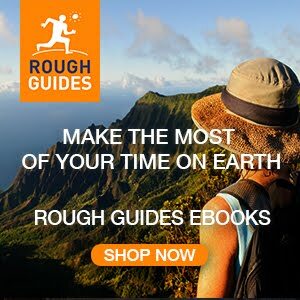 Get the most out of the country's raw beauty and unique culture with Rough Guide's invaluable insiders' tips, stunning images and colour-coded maps. This fully updated Rough Guide offers expert advice on Nepal's world-class trekking, rafteing and mountain biking, as well as where to find the tasties daal bhaat and finest guesthouses along the way. Hindus believe that the gods made their home in the mountains of Nepal, one look at the Himalayas, and you'll understand why. Squeezed between India and Tibet, Nepal's diverse scenery ranges from lowland dripping jungles, where tigers hide in the shadows, to mount Everest's frozen summit. Discover this exciting destination with the most incisive and entertaining guidebook on the market. Whether you plan to trek in the spectacular Himalaya region, take a boat ride on Phewa Lake in Pokhara or get up close and personal with rhinos at Chitwan National Park, The Rough Guide to Nepal will show you the ideal places to sleep, eat, drink and shop along the way. #1 on the Rough Guide list of things to do and see is Everest - Trekking in the vicinity of the greatest mountain on earth is an unequalled scenic and cultural experience. – Full-colour maps throughout – navigate Kathmandu’s backstreets or Nepal’s trekking regions without needing to get online. – Stunning, inspirational images – Itineraries – carefully planned routes to help you organise your trip. – Detailed regional coverage – whether off the beaten track or in more mainstream tourist destinations, this travel guide has in-depth practical advice for every step of the way, including recent information on Nepal’s recovery since the 2015 earthquake. Areas covered include: Kathmandu; Patan; Bhaktapur; Nagarkot; Pokhara; Ghorka; Manakamana; Bandipur; Janakpur; Mustang; the Terai; Annapurna and Everest regions. Attractions include: Chitwan National Park; Bardia National Park; Boudha; Lumbini; Phewa Tal; whitewater rafting; trekking; cycling; meditation and yoga retreats. – Basics – essential pre-departure practical information including getting there, local transport, accommodation, food and drink, festivals, health, culture and etiquette, spiritual pursuits and alternative therapies, and more. 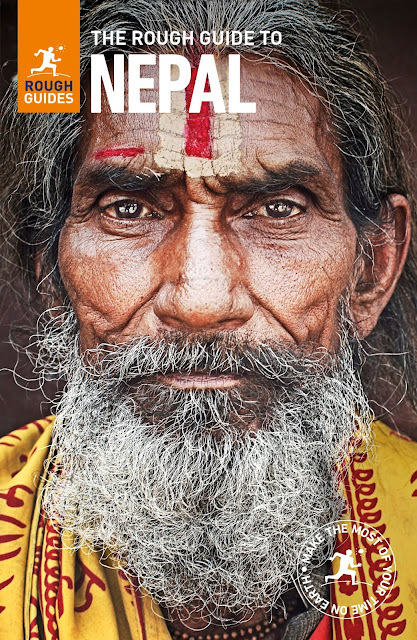 – Background information – a Contexts chapter devoted to history, the people of Nepal, religion, development dilemmas, wildlife and books, plus a handy language section and glossary.